Tennessee Williams' bold, dangerous drama The Two-Character Play follows the journey of Clare and Felice, sibling actors with a questionable grasp on reality. Trapped in a theatre on the day of a performance, they find themselves abandoned by their theatre troupe and forced to perform in front of a hostile audience. As they get lost in the play, they begin to rewrite the script in an attempt to face their demons and make sense of their lives. We tell and retell our histories as a means of identifying ourselves, of relating to one another and, in the case of trauma, of coping with our pasts in order to move on from them. In The Two-Character Play we encounter siblings Clare and Felice who, over the course of the play, thread their way in and out of an intricate, re-scripted version of reality that they have invented as a means of coming to terms with their tragic history. In one of their invented scenarios they are actors backstage in a theater. But to think of The Two-Character Play as belonging to the tradition of a play-within-a- play would be a mistake. This play is more along the lines of an authorial confession than a demonstration of clever literary architecture. 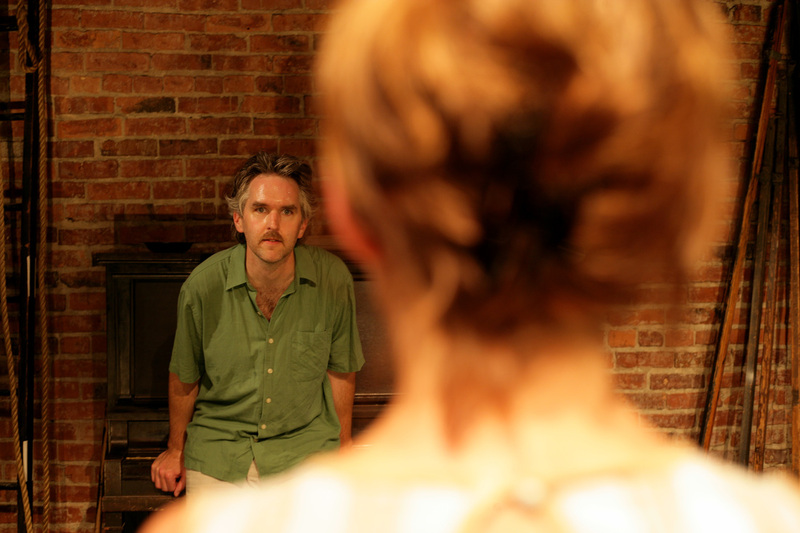 It shares more artistic DNA with Ionesco and Albee than with Shakespeare or Shaw. It may be the least contrived of all of Williams’s work, more about unmasking than masking. 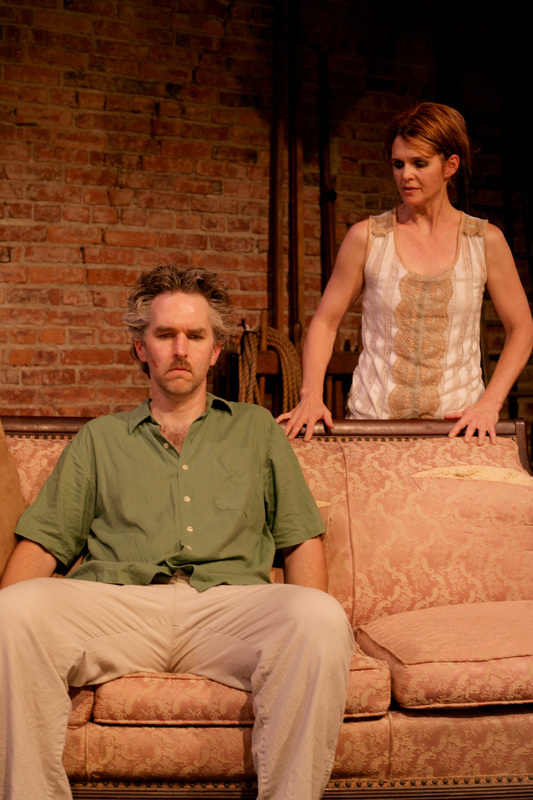 This play poses questions for which there are no easy answers. The Two-Character Play was written and rewritten over the course of ten years: a dark period for Williams as he struggled with drug and alcohol addiction, suffered the loss of his lover, was briefly institutionalized, and experienced the abandonment of his work by critics and audiences. It is considered to be one of his most autobiographical works, inspired by his relationship with his sister Rose, who was institutionalized most of her life. It was a turbulent decade for the world as well. The Two-Character Play premiered in 1975, an age of revolutionary ideas and political change, an age of transgression and transformation. Williams was undoubtedly influenced by this atmosphere. 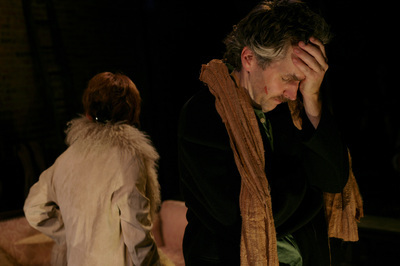 While The Two-Character Play represents a clear departure from the naturalism of his earlier plays, we recognize many of the recurring themes of his work: confinement, mental illness, brutality, disorientation and reorientation. The Two-Character Play raises the existential questions of humanity: Who are we? Why are we here? How and when will we die? The human race is defined and confined by these questions. In this play Clare and Felice are literally confined (they discover that the theater doors are locked from the outside), and defined by their confinement. From this predicament they have three possible ways out. They can die, either by their own volition or by surrendering to the inevitable. They can choose madness (by investing ever more deeply into the alternative reality of their invented scenes). Or they can transcend themselves (by overcoming their agoraphobic limitations and leaving the building). In the course of the play they attempt all three. It’s no accident that The Two-Character Play is Tennessee Williams’s least known work. It is, in part, an exercise in disorientation for the audience, and producers have been reluctant to take on this morass of a play. That Williams was brave enough to write it is commendable, particularly since both his critics and the public at large wanted more of the winning work that had made him famous, works like A Streetcar Named Desire and The Glass Menagerie and Cat on a Hot Tin Roof. But Williams was a true artist. He was more committed to creativity than to success. As compared with his previous work, The Two-Character Play was a flop in both of its iterations (it was initially published under the title Outcry). Williams himself considered it a masterpiece, saying it was his most beautiful play since Streetcar. So why the disconnect between the playwright’s view of the play and the world’s view of it? Is it because his mind was addled by addiction? Or is it because the subject matter is so vexingly complex and mysterious? And what is the subject matter anyway? Love? Life? Death? This play presents us with words that are not spoken (the word “confined”) and props that are hidden (a gun); with imaginary doors into the real world and real doors into imaginary worlds. Ultimately, this is a play about questions rather than answers. Like life itself, it is a narrative that one experiences rather than understands, at least in the moment. Williams limns Claire and Felice’s frail and poignant grasp of their situation, and dares to take us inside it, knowing that there is no trail of breadcrumbs for the audience to follow, but trusting us to come along. But despite their dire circumstances, Clare and Felice have each other. As Felice says, “There’s no such thing as an inescapable corner with two people in it.” Civic Rep’s production sets the dramatic action between two banks of audience seating, so that the audience faces itself just as Clare and Felice do. There is no better way to join Clare and Felice in their private sanctum of fear and fantasy, no better perspective from which to witness these two delicate, creative people doing their damaged best to take care of each other under difficult circumstances. Here Williams draws forth a story of tenderness from trauma, taking his audience on a tour of an imaginary castle, built of the wreckage of the real. The playwright’s distinctively lyrical language rings in the gossamer half-light of the empty rooms. 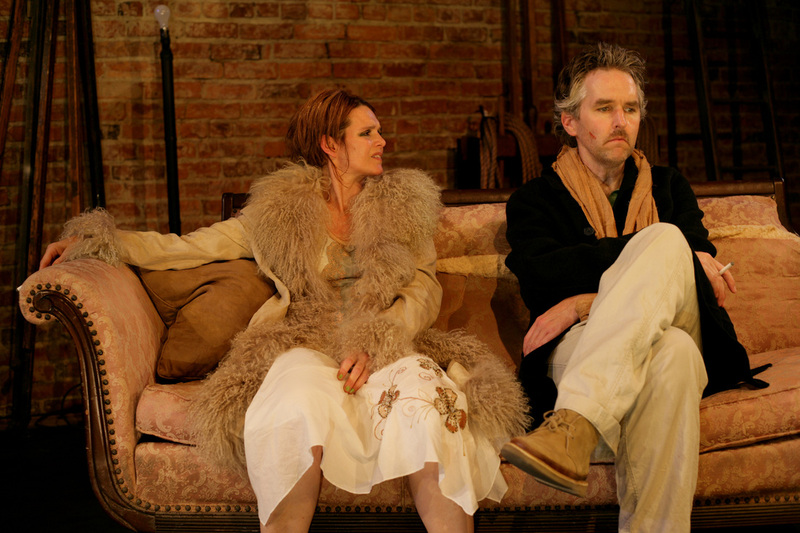 Tennessee Williams said that The Two-Character Play would be his last full-length play. It was.